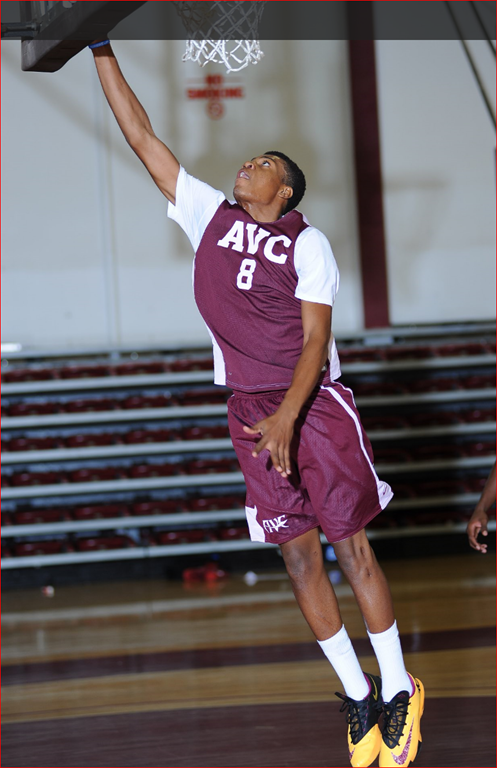 Izayah did every thing that AVC needed to win. When all of AVC’s big men were lost last year, he stepped and played the post position against 7 footers and helped the team make it to the elite eight in the state playoffs. He also played the shooting forward and the power forward. AVC’s overall record during Doyle’s two year was 49-13 and a run into the state playoff both year. Several weeks ago, Izayah visited William Penn University located in Oskaloosa, Iowa a small community, an hour southeast of Des Moines. William Penn University is a liberal arts university affiliated with the Society of Friends. The university was founded by Quaker pioneers in 1873 to provide a quality education to all interested men and women regardless of race, creed, or socioeconomic status. One hundred and forty-two years later, William Penn remains devoted to this ideal. The university is firmly rooted in its Christian heritage, with certain characteristics distinctive to Quakers, but welcomes faculty, staff, and students from all faiths. William Penn University battled it’s way last season to the NAIA national quarter finals. Led by Coach John Henry, who owns a career record of 308-185 (.625), has produced 40 all-conference performers, 13 All-Americans, 68 academic all-conference selections, and 22 NAIA Scholar-Athletes. Entering 2015-2016, he ranks in the top 20 among active NAIA men’s basketball coaches in both wins and winning percentage. The scholarship awarded to AVC’s Izayah Doyle includes Annual Cost of Attendance $35,060 for tuition, room and board, books and fee. Total scholarship awarded for two years is $71,120. Izayah did not make the William Penn team and currently working toward his degree. Izayah Doyle, AVC graduate who was a starter for two years on the basketball team, was awarded a BA in Criminal Justice from William Penn University. Congratulations to Izayah for his academic success in earning his degree. I expect great things for Mr. Doyle in the future. Another success story for the AVC basketball program!